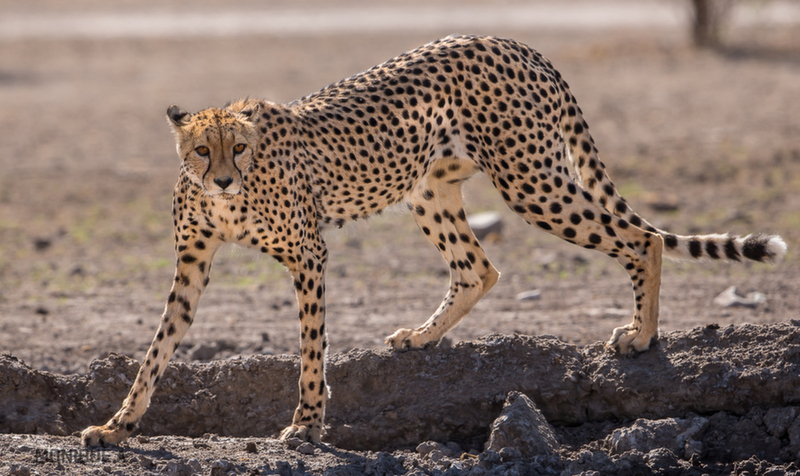 Caught this young female cheetah at a waterhole in the Central Kalahari Game Reserve, Botswana. Last edited by MoniqueA on Sat Nov 24, 2018 8:29 am, edited 2 times in total. With this pose there is little question this is an animal built for speed. Just look at those long legs!! The eyes are mesmerizing. Nicely done. Such gorgeous cats, so lithe and graceful! I love the pose and would like to see just a slight raising of the light/brightness to better illuminate the features of this backlit beauty, Monique. A touch of fill flash would have been of benefit with this one. Got to agree with Carol-I'll bet it wouldn't take much to brighten this up just a touch. But it is a really fine shot- love the pose. I love Cheetahs. This is a unique perspective really showing off those "runner's legs" and slim body. The head turn is also a big plus. Thanks for sharing this great image. Many thanks for the feedback. Have lightened the image as suggested. Its really brought this beautiful girl to life, Monique!